Sage 50 Accounts Plus (previously known as Sage Line 50 Accountant Plus) is the mid level Accounts software package in the Sage 50 range. This package features all of the benefits of Sage 50 Accounts with additional tools to help you control your stock, manage individual projects and create custom pricing for different customers. Sage 50 Accounts Plus 2014 helps you manage everything from cash flow and VAT returns (including online) to year-end accounts, customers and suppliers while offering advanced reporting and budget management. Sage 50 Accounts Plus is the market-leading accounts software that makes managing your customers, suppliers and finances easy. From invoicing customers and paying suppliers, to managing VAT returns and year-end accounts, it helps you manage all the different areas of your business by keeping things simple. Use Sage 50 Accounts Plus to keep track of your cash flow, giving you greater control of your business i.e. are you covering your costs? what payments are due? who do you need to chase for payment? Sage 50 Accounts Plus helps you manage all this and more. Keeping track of your finances isn’t just about adding up the numbers. It’s data that can tell you a lot about your business. For example, who are your best customers? Or who buys what and when? The suppliers who always deliver when they say they will to the effect of offering a discount on a line or item, Sage 50 Accounts Plus helps you make sense of your business. Reports can tell you a lot about your business, helping you make informed decisions and giving you the information you need to stay in control. Sage 50 Accounts Plus comes with a choice of reports that give you as much or as little detail as you like. Sage 50 Accounts Plus Mobile gives you live access to your Sage 50 Accounts Plus 2013 information on your iPhone, iPad, BlackBerry and Android mobile device, so you can keep up to date with your finances wherever you are. 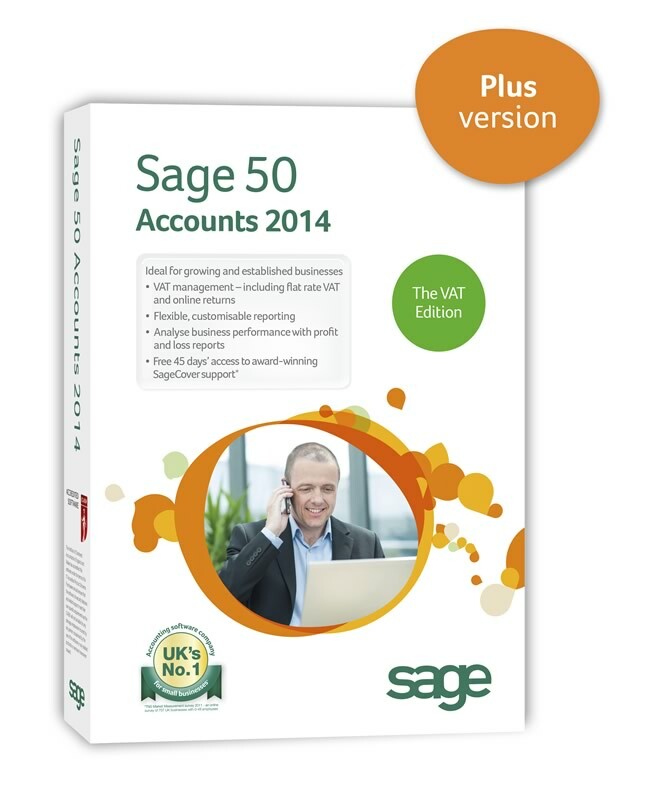 Sage 50 Accounting Software consists of three versions; Accounts, Plus and Professional. See below for a simple comparison list between each product. Sage: the Number 1# Software for Business.